Thurrock Marching Brass are delighted to confirm that the November winner for the Jack Petchey Achievement Award goes to Kelsea Mepham. Kelsea has been with us since the first night of our re-launch in October 2010 and has been an integral part both the marching band, where she has played Baritone and front line tuned percussion as well as lead the band as Drum Major on several occasions, including at the recent South Ockendon Remembrance Day Parade, as well as the colourguard where she has grown through the ranks to become an amazing performer and role model. 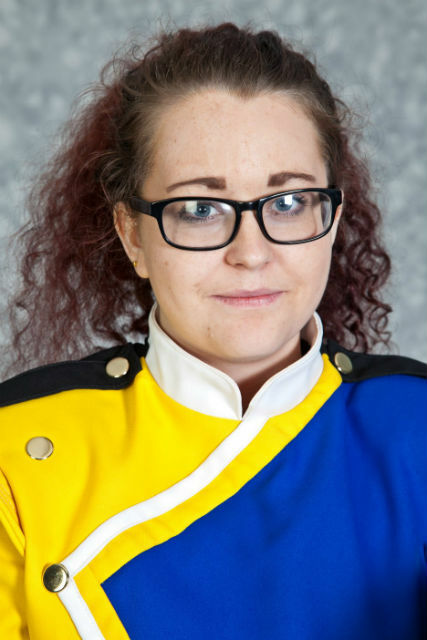 Kelsea was selected by the staff of our senior colourguard to take on the leadership role of Guard Captain in 2012 and remains in this position today. Her abilities to help and guide go way beyond her young age and she has helped to develop some of the younger members over a number of years. This achievement award just shows how much the members think of her and we are delighted for her on so many levels for being selected by them for this recognition. Kelsea has dedicated the £200 award to go towards the purchase of multi-use frameworks that will be able to sustain interchangeable screens to be used and re-used throughout all winter and summer programs going forwards for Thurrock Marching Brass. Thurrock Marching Brass would like to thank Jack Petchey and the Jack Petchey Foundation for their support in our organisation and allowing us to participate in this special award for our members. Congratulations again Kelsea for her achievement. Posted by News Editor on Thursday, November 27th, 2014. Filed under British Youth Band Association, FrontPage Feature.